In providing the facility to enquire about our products via this website, McQuillan Boiler Services collects information about you. In doing so, we take your privacy and our obligations under the data protection legislation very seriously. You have a right to expect a website to disclose its privacy policies - how your personal information is collected, used and shared. You also have a responsibility to choose which sites you feel comfortable disclosing such information to. In order to comply with our obligations, McQuillan Boiler Services must obtain your consent to the use of your personal information. Please ensure therefore that you read the following statement carefully. Enquiries about our products through the McQuillan Boiler Services web site will be taken as consent to certain uses of your information. 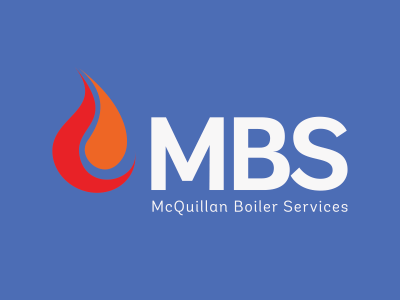 McQuillan Boiler Services will under no circumstances give access to your registration information to any third party for any purpose, either commercial or otherwise. Consistent with our obligations under the Data Protection Act 1998, your information is maintained in what we believe to be a well protected environment. Neither McQuillan Boiler Services any other website operator can, however, guarantee that your information will remain secure from unauthorised access. You acknowledge that all of your submissions through the website are public and not private information. Always use caution when giving out any personally identifying information about yourself or your household. McQuillan Boiler Services specifically disclaims any liability with regard to any actions resulting from your submissions and postings to the public portion of the website. Generally, any communication which you post through the website is considered to be non-confidential. If a particular webpage or form permits the submission of information that will be treated by McQuillan Boiler Services as confidential, that fact will be stated on those pages. By posting communications on or through the website, you automatically grant McQuillan Boiler Services a royalty-free, perpetual, irrevocable, non-exclusive license to use, reproduce, modify, publish, edit, translate, distribute, perform and display the information alone or as part of other works in any form, media or technology whether now known or hereafter developed. The foregoing grants shall include the right to exploit any proprietary rights in such communication, including but not limited to rights under copyright, trademark, service mark or patent laws under any relevant jurisdiction. You agree to waive any moral rights which you may have in such material. By enquiring via this website, you consent to the collection and use of your information by McQuillan Boiler Services in the ways outlined above. If, having given your consent to the use of your data, you subsequently change your mind you can stop all, or particular uses of your data by sending us an e-mail.